Honeywell T4398A1021 Electric Heat Thermostat for Electric Baseboard Heat includes thermometer, range stops and locking cover screws. 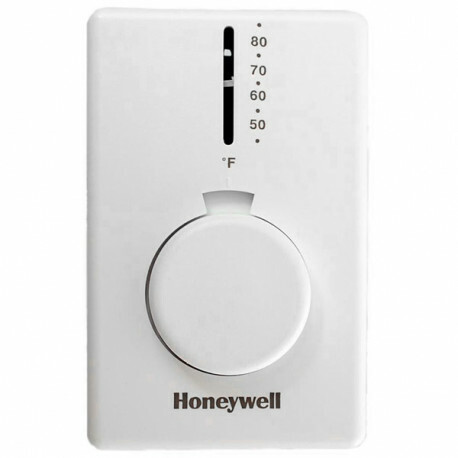 A snap action switch of Honeywell T4398A1021 makes the heating circuit on temperature fall. This High Performance Honeywell Electric Heat Thermostat provides precise line voltage control of resistive-rated electric heating equipment. Electrical Ratings: Noninductive resistive 22A at 120/208/240 Vac. 19A at 277 Vac.